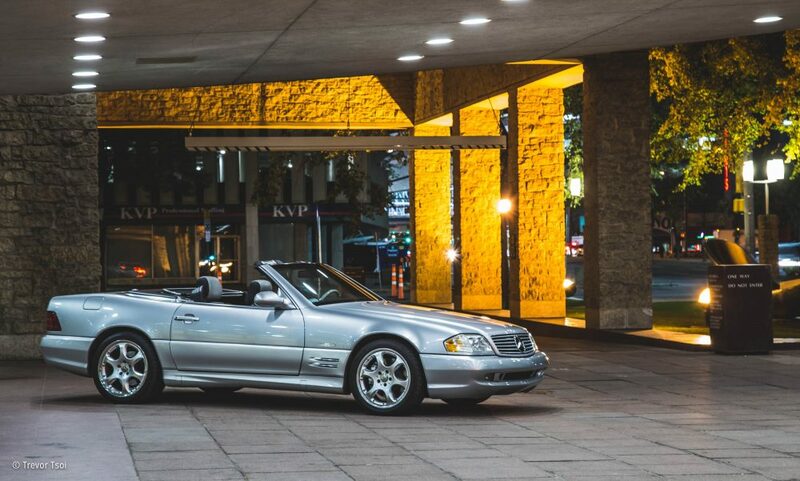 This is my 2002 Mercedes-Benz SL500 Silver Arrow Edition. 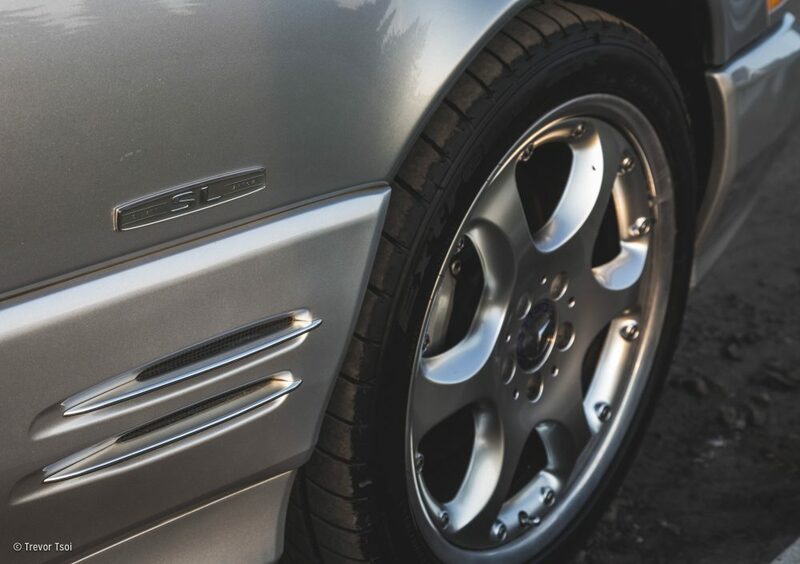 It’s the culmination of a childhood spent obsessed with the marque, and it’s a car that I wanted to own in part due to what it represented as a machine, but also what it represented for my family. This is the story of how I came to own one of the rarer iterations of a masterful design by the legendary Bruno Sacco; in my eyes it is his finest work, and it marks the end of a definitive era for Mercedes-Benz. It isn’t something I’d call vintage yet, but it’s surely a modern classic, and one that I intend to keep for the rest of my life. 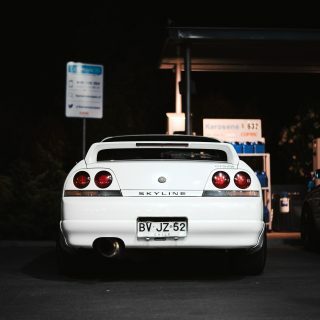 As is the typical story for many of you reading this, I became fascinated with cars when I was very young, but my story is a bit strange and a sad. It began when my dad moved away. From our hometown in Canada, he moved to Hong Kong for work, and rarely had the opportunity to come home to visit. Instead, my mom and I would travel to him to spend some time together a few times per year. Often, he would hire an S-Class to pick us up at the airport to make the trip a bit more special. Arriving at the hotel, I’d see all the beautiful cars parked in front wearing badges bearing the words Rolls Royce, Ferrari, Porsche, Bentley, and of course, Mercedes-Benz. 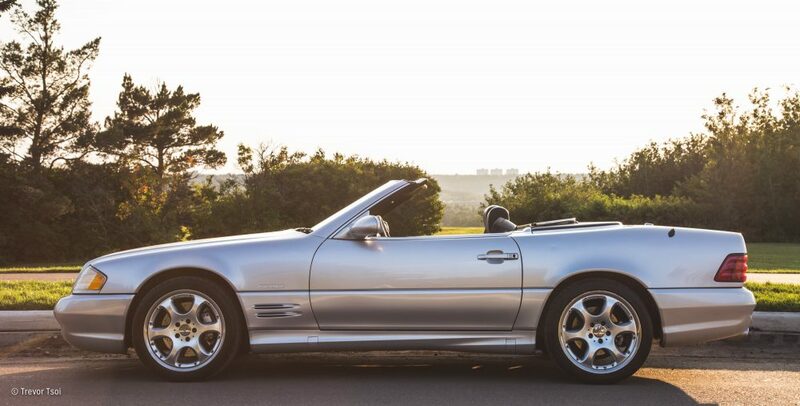 The car that stuck out the most though was a silver SL500, and upon seeing it I was immediately obsessed. This is probably the very moment my car fanaticism began, and I’d imprinted on Mercedes. Subconsciously—it took me many years to figure out—I attributed the brand Mercedes-Benz to those rare times that my family was actually together in one place. 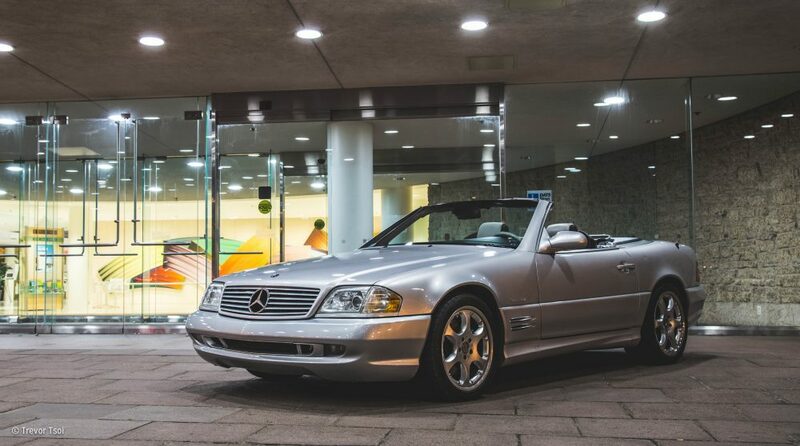 That’s why the sight of a W140 S-Class or an R129 SL-Class would bring some happy sensations with them, reminders of those infrequent visits to my dad in Hong Kong. As I grew up and started to think about my own career, the idea of potentially owning one of these cars gave me great motivation to study and work hard, and in 2015 I had my opportunity. 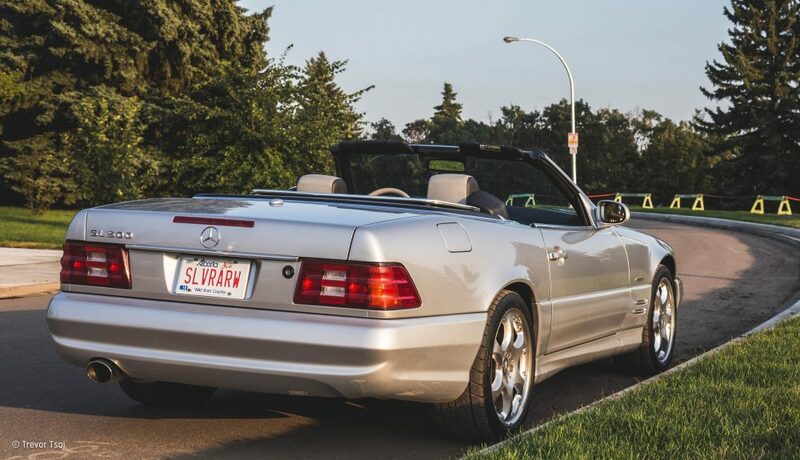 Kijiji, besides a strange word to look at, is more or less like the Canadian Craigslist, and it was on this site that I found the Silver Arrow. The photos in the listing were’t great, and they revealed a few imperfections on the car, but I figured I might as well check it out in person. In stereotypical style, it was owned by a kind older lady who asked me to meet her at the country club to inspect the car. So far everything was exactly as it should be! After the initial walk around the car and some basic information-based conversation, we took it out for a test drive. 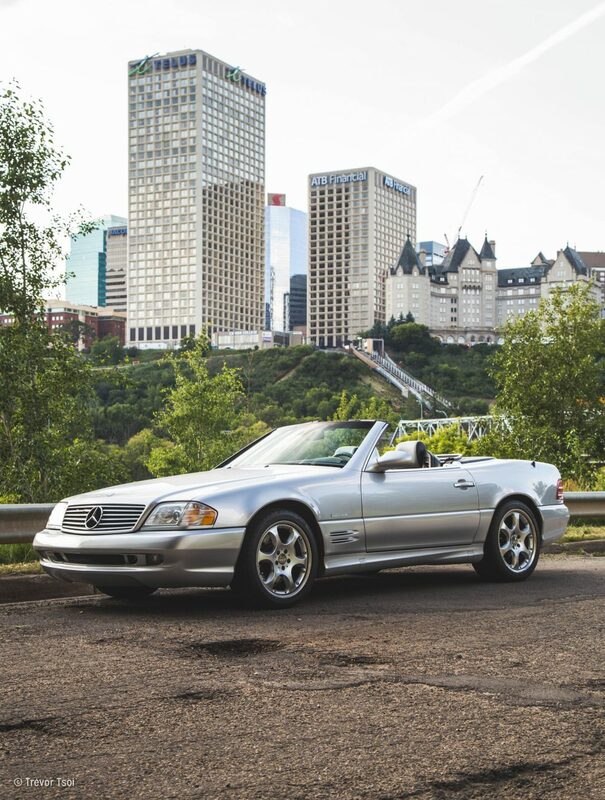 I remember thinking to myself as we drove through the river valley that day, “Wow, I am actually sitting in, and driving, my childhood dream car!” She was fairly firm on the price, and I respected that; it was a justifiable number, but I just didn’t have the money at the time. So, thankful for the chance to drive the car but disappointed I couldn’t make that a more regular occurrence, we parted ways for the moment. Every once in a while I would check Kijiji for the car or send her a message to inquire about the price. Then, about a year since we first met—almost to the day in fact—she reduced her asking price on her then-unsold car, and I became its new owner. I finally had the keys to my dream car. 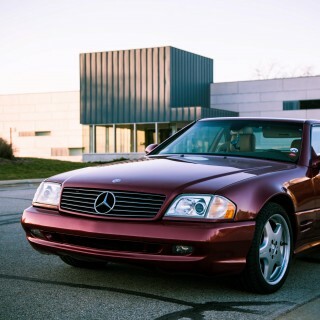 I’ve had a few Mercedes in the past, and I’m currently daily-driving a newer model along with the SL, but this car will always stand above the rest to me. 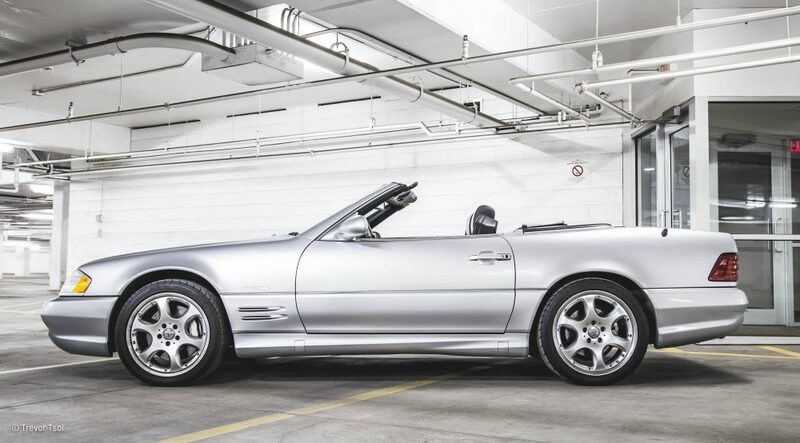 I know it isn’t a W125, but the Silver Arrow edition of the SL500 is a tasteful homage to the racing successes on Mercedes in the 1930s. 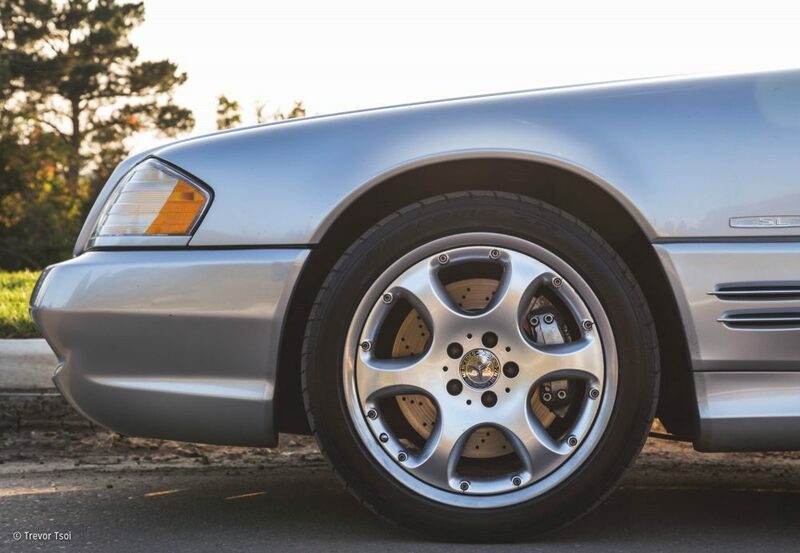 These editions include the specific shade of silver paint, a unique two-tone interior, two-piece wheels, and a beautiful machined aluminum dash. 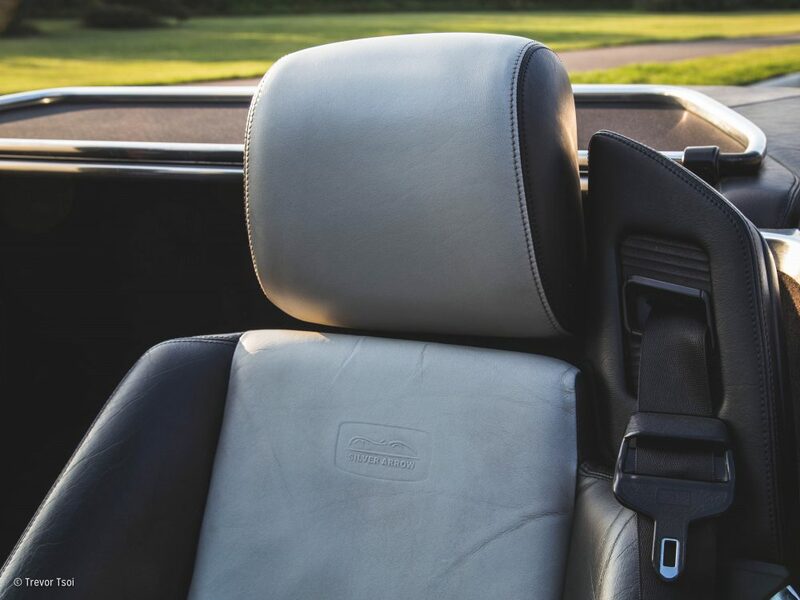 I love the look of the base car of course, but these touches elevate the whole experience and make it even more special—to not only own your dream car, but in a special edition trim is a significance not lost on me. 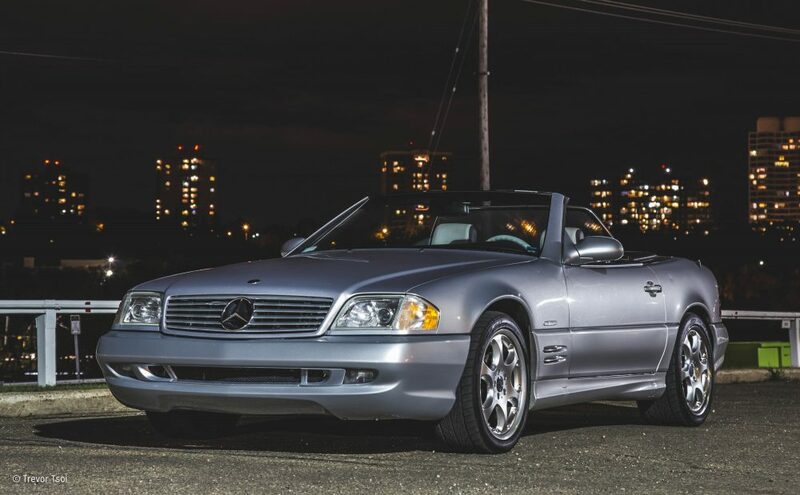 I love simply looking at my SL, and the driving experience delivers another kind of joy. 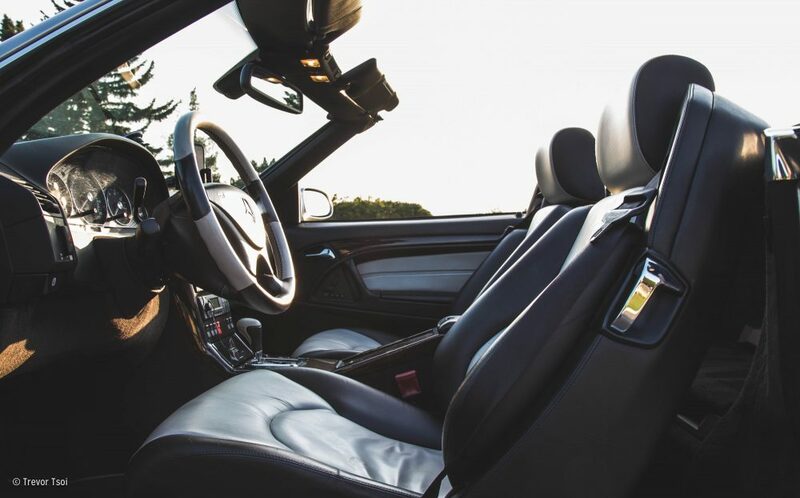 With the top down and the radio muted, it’s a relaxed and ultra-smooth cruiser that puts me into a different, calmer mental space every time I take it on an errand or a drive for the sake of driving. It pastes a smile on my face regardless, though I prefer taking it through the downtown sector of the city and then out into the river valley for a nice juxtaposition of space. 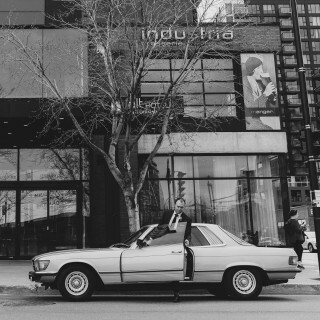 The car itself is a bit like this contrast between city and country, as it’s a car that blends modernity with an elegant and timeless character. 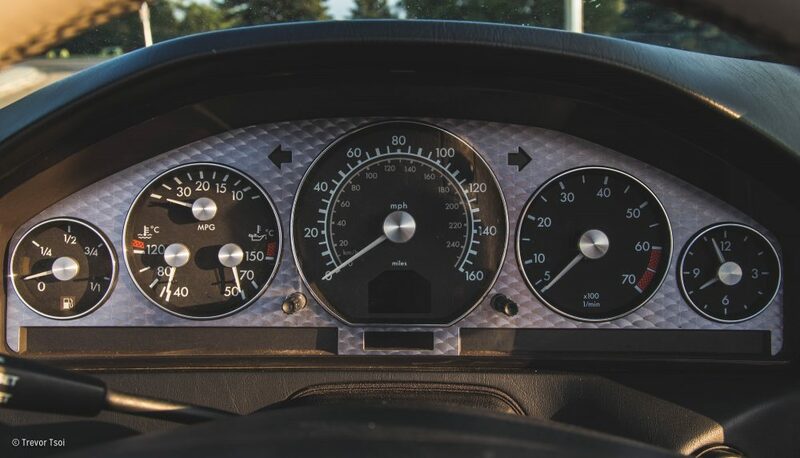 It isn’t the kind of car to send direct feedback through the steering wheel and it isn’t something you want to drive at the limit, and it isn’t supposed to be. To me, it’s a modern classic that champions the kind of GT cruising that’s been characterized by cars like this for decades. Out in the valley though, with the fresh air and the sunshine swirling around me and the road empty ahead, it still gets going when you stomp on it. 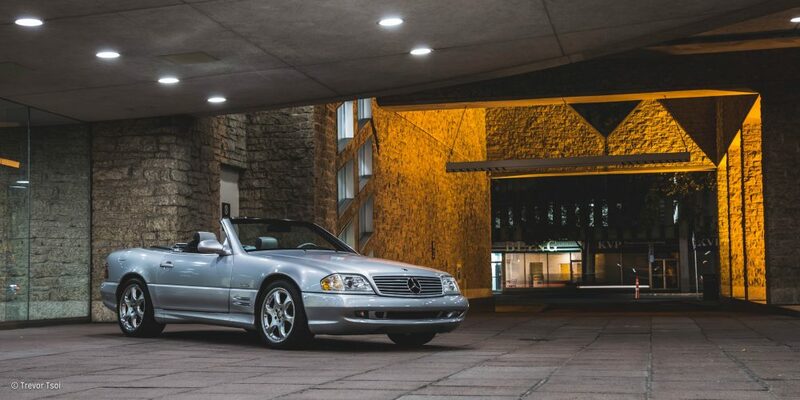 As to its status in the collective mind of “car people,” I think this generation of the SL is a proper modern classic. I’ve said that a few times now, but it’s only because I really believe that. 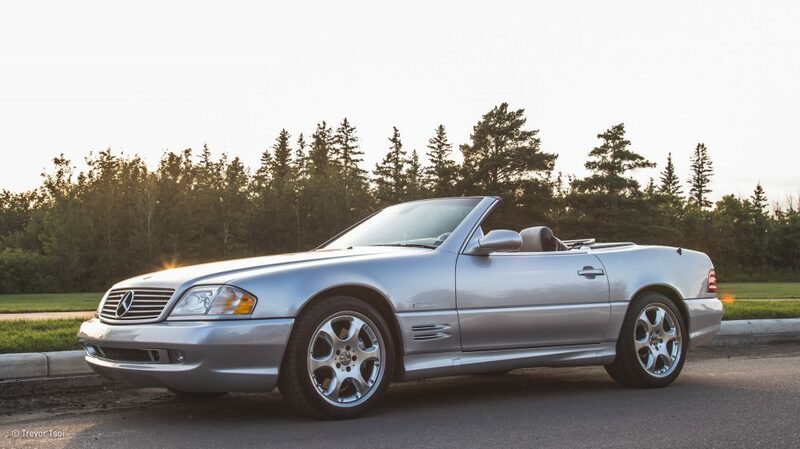 It seems that every iteration of the Mercedes SL range takes about 20 to 30 years before it gathers a cult following and prices climb as a result. 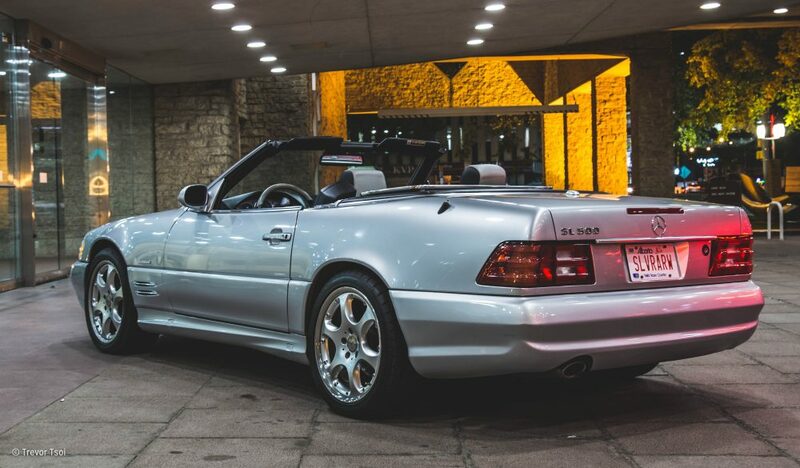 Time will tell if this is the case for this car too, but I think there must be plenty others out there like me, and well-kept examples are definitely on the rise. Mine may not be the lowest mileage example out there—it currently has 144,000 on the clock—but I make sure to keep up with the maintenance (which really isn’t as scary as some might have you believe). 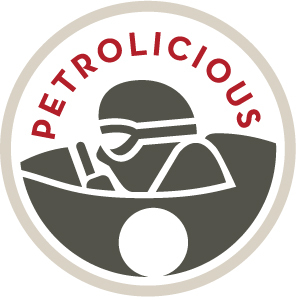 In fact, I don’t mind putting the car to good use and seeing the record show it, and I look forward to the day I reach the 250,000 kilometer mark and get a High Mileage Award from the factory. It’s pretty neat: the dealership verifies the mileage, and then Mercedes-Benz will send you a grille badge and certificate for the achievement. 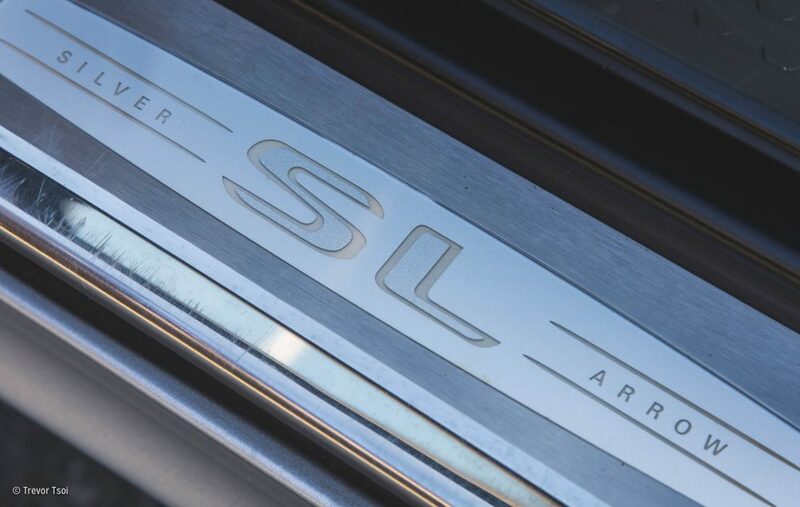 It’s a small thing, but I like knowing that in this day and age the company still values customers and fans of the brand that keep their cars for the long run. 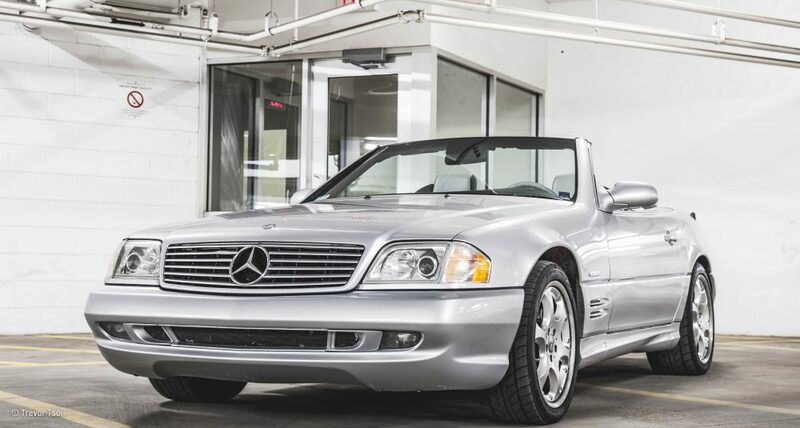 Eventually, I would love to send the car down to the Mercedes-Benz Classic Center in Irvine to have it completely restored to its as-new condition. 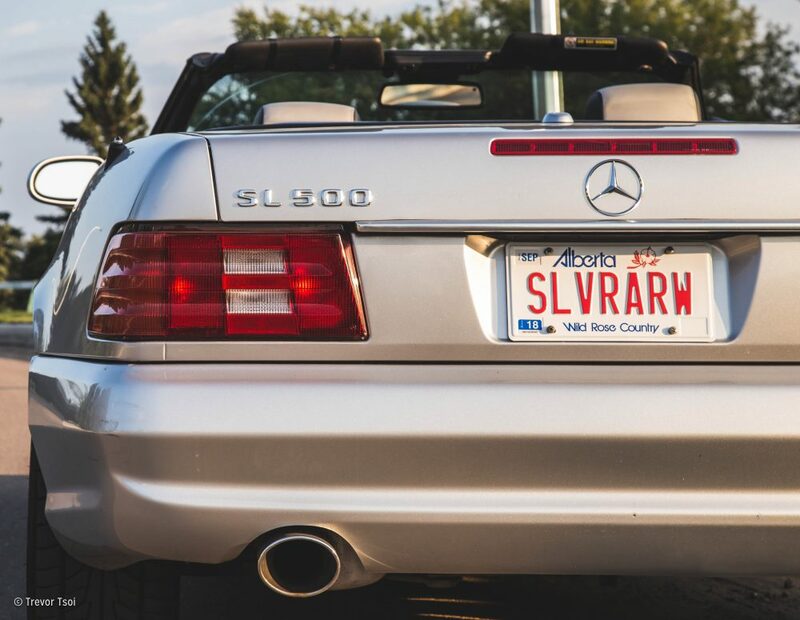 Until that time comes though, I will drive and enjoy my Silver Arrow every day that I can, always reminded of the fact that dreams can come true. 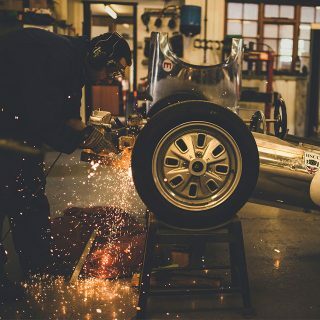 There is no greater feeling as an automotive enthusiast than to drive the car you love most of all, aside from owning one of course! Even though I worked hard while chasing my dream and had plenty of patience, I consider myself a very lucky man. What a handsome car. If I had the space, I’d have almost every Sacco Benz. Enjoy! So much agree. 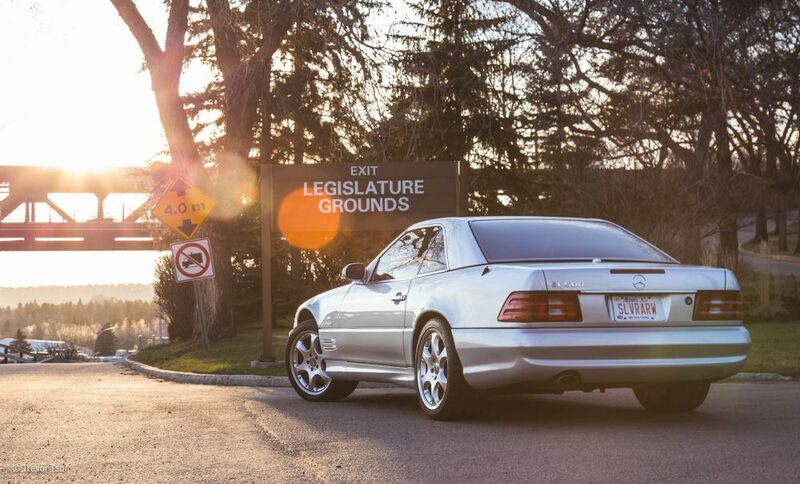 I recently got my equivalent, a silver ’01 CL600. Hooray for dreaming! Great read. 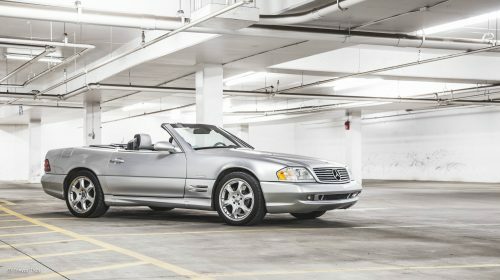 I own a R129 as well as R230 SLs and they are very beautiful and capable machines! lovely article and car. Nice submission. Beautiful car and the special edition features are subtle, distinctive, and very cool! Enjoy this great machine and please, try to avoid validating its construction worthiness as shown in the video! Watch this video and see how well built these cars are! One of my personal favourites of the 90s. I wonder if the 300SL would be worth looking at. 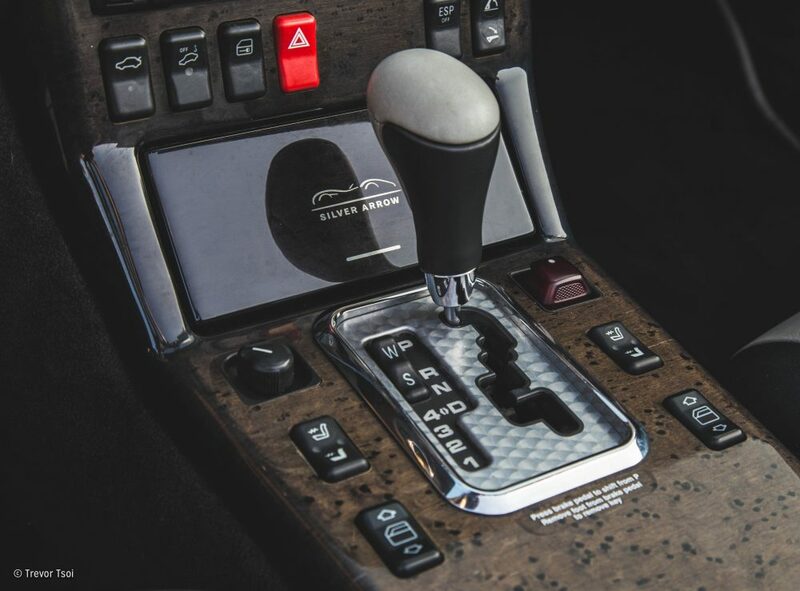 Although it has a 6 cylinder engine it is the only model in this series to have a manual transmission. Congrats! It’s a classic already in my eyes. Love most of Bruno Sacco’s designs – especially this SL and the W126 and W140 S cars. Congratulations on obtaining your dream car, and a beautiful one she is. 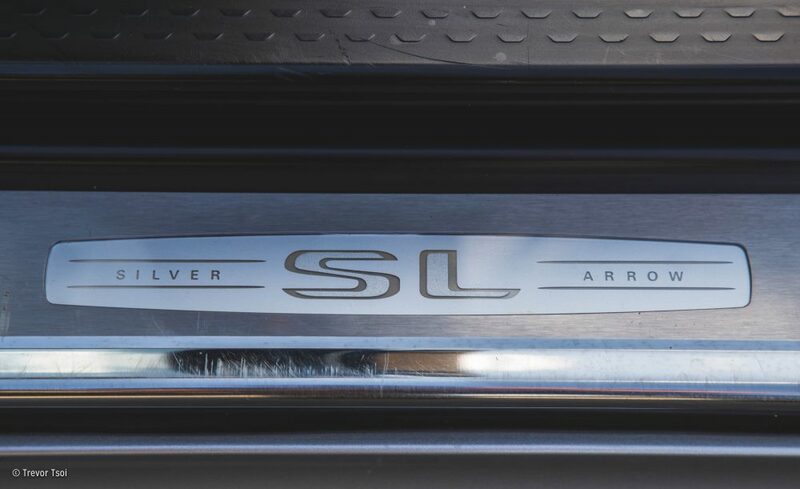 The Silver Arrow edition does make a special car even more special. Thanks for the inspiring story and I wish you many moe miles of happy motoring. That would be “more” miles of happy motoring.